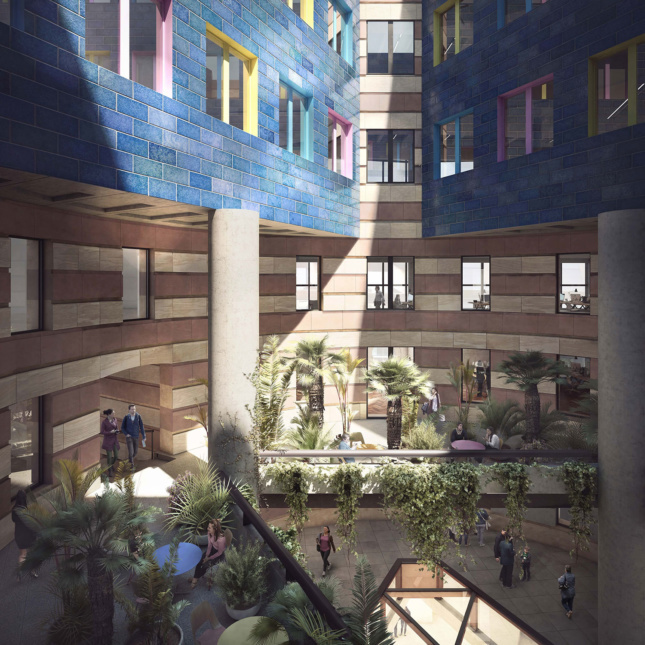 Some may say it is par for the course for postmodern architecture to be allied with gimmicks and today, it seems those who do have cause for delight: James Stirling‘s No.1 Poultry in London looks set for a mini golf complex on its ground floor. The endeavor is courtesy of Puttshack, a firm which claims to be the first “super tech” indoor mini golf experience provider. 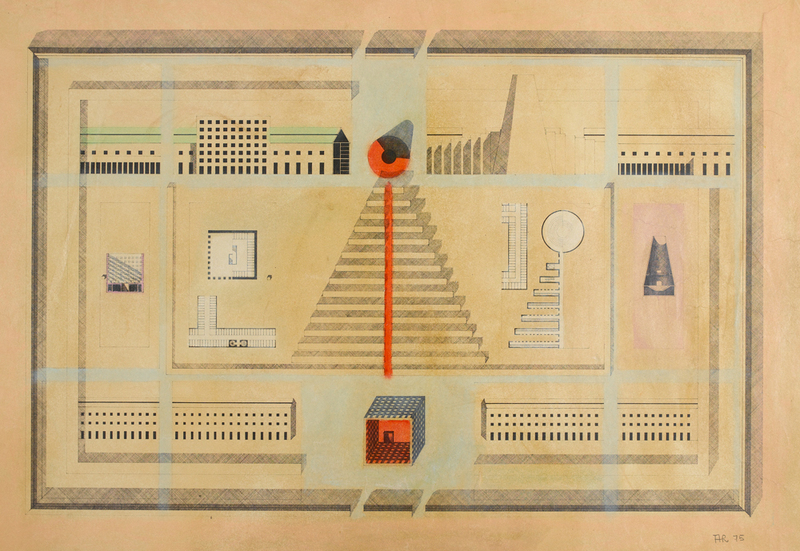 Plans for what the mini golf trials will be can only be seen in the sketches provided, however, Pomo putters can still dream of a course based on the site plan of Aldo Rossi‘s San Cataldo Cemetery (which would be amazing, let’s be honest) or a homage to Michael Graves‘ Steigenberger Golf Resort in Egypt. 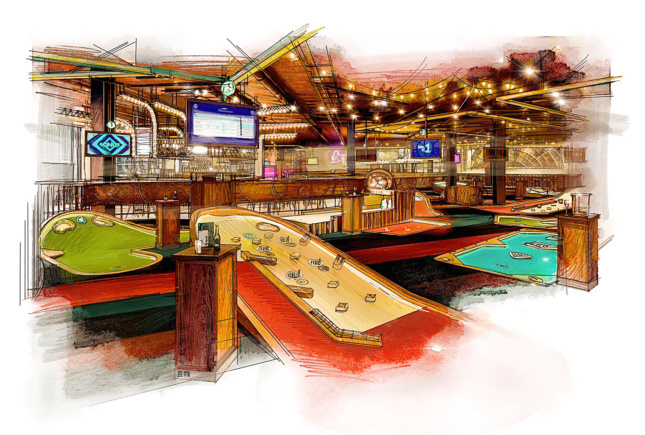 Puttshack’s complex appears to come with an island bar and tables for dining and will ultimately be an after-work venue for those in the city. As for the real clubbing going on, Puttshack ensures there will be no fowl play when going for a Poultry birdie—its ball tracking and scoring technology uses a mini-computer inside the golf ball to monitor and share video highlights from each round. 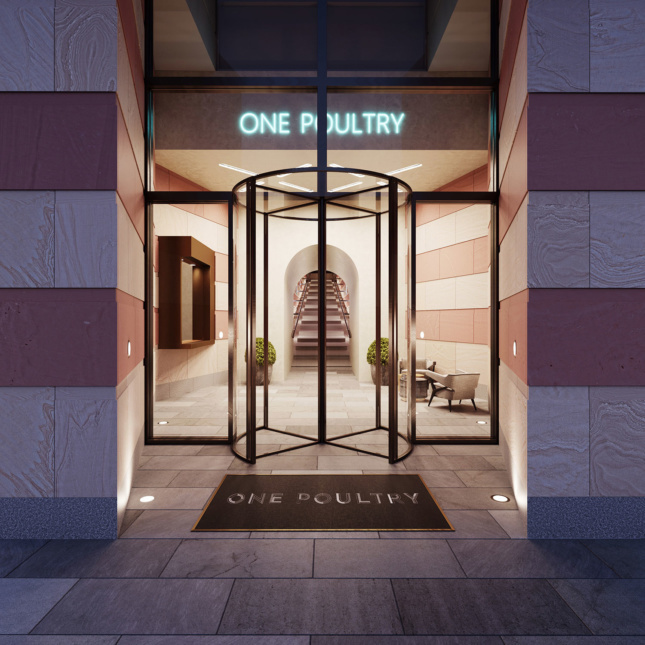 “I’ve always wanted to locate a social entertainment concept in the heart of the city, and there could not be a better location than the symbolic No 1 Poultry address,” said Adam Breeden, founder and CEO of Bounce, one of the companies behind Puttshack in a press release. 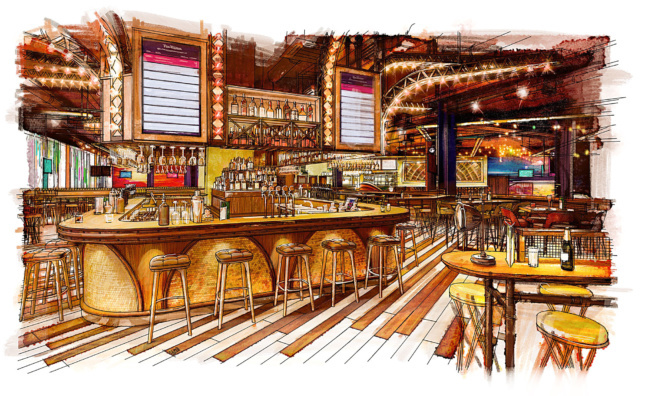 “The area has been up and coming for a long time now and with the introduction of Puttshack it finally establishes itself as a truly varied and vibrant London destination,” he added. 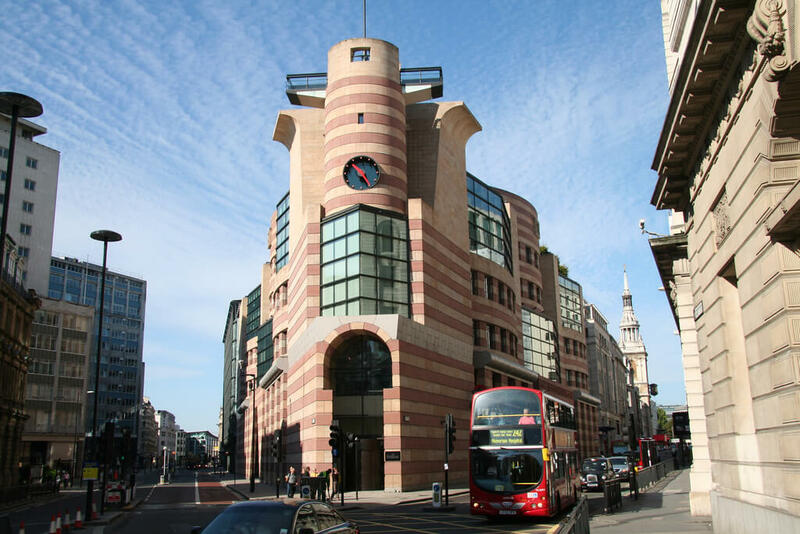 Built in 1998, Stirling’s iconic work was the first postmodern building in the U.K. to be landmarked and, it was the country’s youngest landmark, as well. Residing above Puttshack will be the new WeWork offices, which are slated for completion this March. Those renovations will also refurbish the building’s famed staircase.